Tue., June 13, 2017, 6 a.m.
Joe Gilliland could tell you a war story, but it wouldn’t be complete without the happy moments. He gives some examples: A row of Marines seated along a wall, “dog tired” and baking in their fatigues, joking with one another between segments of an arduous mission in Iraq or Afghanistan. A buddy calling out for another Rip It, the energy drink of choice for countless American soldiers. 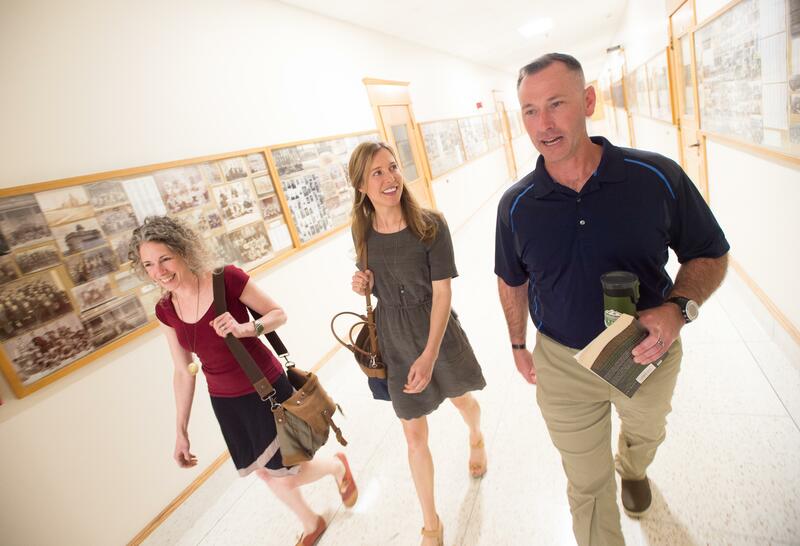 After retiring as a master sergeant two years ago, Gilliland started pursuing a bachelor’s degree at Gonzaga University. Now he’s participating in a community-oriented project called “Telling War,” which aims to help veterans communicate their war experiences and reconnect with civilians at home. The National Endowment for the Humanities recently allocated $100,000 for the project, which will begin in the fall. It’s part of a broader NEH initiative that aims to involve veterans in the humanities. NEH Chairman William Adams spoke at Gonzaga last year about his experience in the Vietnam War and how studying humanities helped him make sense of it all. The local project is being led by Gonzaga communication professor Lisa Silvestri and Rebekah Wilkins-Pepiton of the Spokane Arts Commission. Veterans and others can subscribe to a mailing list at gonzaga.edu/tellingwar. Silvestri and Gilliland will teach a class at Gonzaga and host a series of free workshops at various locations in Spokane, where veterans will reflect on how they stayed in touch with friends and family during their deployments. They’ll examine letters, emails, photos, videos, postcards and social media, and consider how each medium shaped their messages. Wilkins-Pepiton said one goal of the project is to “add a little shading and dimension” to the public’s perception of fighting men and women. She said the workshops will be hands-on and engaging, so that veterans might enjoy using new forms of expression, like music and art. Silvestri has worked on research involving soldiers for about a decade, inspired by her father, who was drafted into the Vietnam War, and her brother, who has served in Iraq and Afghanistan. Last year, she published a book titled “Friended at the Front: Social Media in the American War Zone,” which explores how platforms such as Facebook have transformed soldiers’ experiences overseas. Silvestri hopes the “Telling War” initiative will help bridge that divide. “The reason people are so fascinated by war is because it compresses everything that usually takes a lifetime to get,” she said, noting she has met many young soldiers who are wise beyond their years. Published: June 13, 2017, 6 a.m.